Research Team: Kimberly Schonert-Reichl, Angela Jaramillo, Essie Sutton, Michelle Sipl, Molly Stewart Lawlor, Lina Sweiss, Jenna Whitehead, Karen Forsyth, and Jacqueline Maloney. 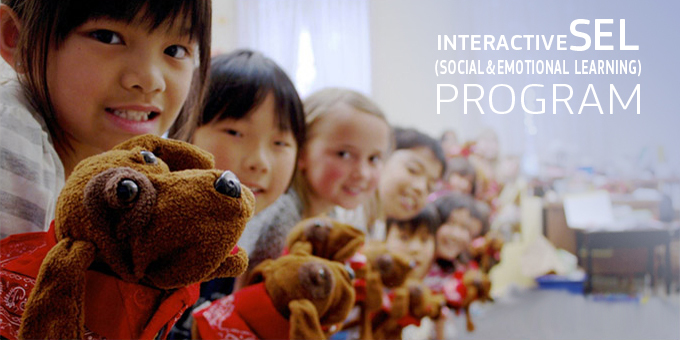 Description: In this randomized controlled trial, we examined the effectiveness and feasibility of an innovative universal social and emotional learning (SEL) program – the Taxi Dog Educational Curriculum – a program that focuses on promoting social and emotional competence, resiliency, and school success in children during the early elementary school years. The program is based on a best-selling children’s book “The Adventures of Taxi Dog.” Maxi the Taxi Dog is a heart-warming video series of captivating, humorous stories about Maxi the Taxi Dog and taxi driver Jim. Produced by an award winning team in partnership with internationally acclaimed educators, Maxi introduces children to the essential skills of SEL by following Maxi and Jim’s interactions with the many characters they encounter on their taxicab journeys in The Big City. The study evaluated the nine lessons and accompanying activities for the pilot episode in the “Maxi the Taxi Dog” series, “Maxi-Taxi-Saurus.” The Taxi Dog Educational Curriculum incorporates the promotion of social and emotional competencies in every one of its nine lessons. Pre- and post-test assessments included measures of feasibility and implementation via teacher reports as well as child and teacher reports assessing children’s social and emotional competence (e.g., empathy, perspective-taking, emotion understanding, self-regulation), social behaviours (e.g., aggression, prosocial behaviors), and school adjustment (e.g., school liking, academic achievement). Data analyses are underway.